"It is clear that plants do more than entice pollinators and photosynthesise with their colours—they hide in plain sight from enemies too," said Professor Martin Stevens, of the Centre for Ecology and Conservation on Exeter's Penryn Campus in Cornwall. 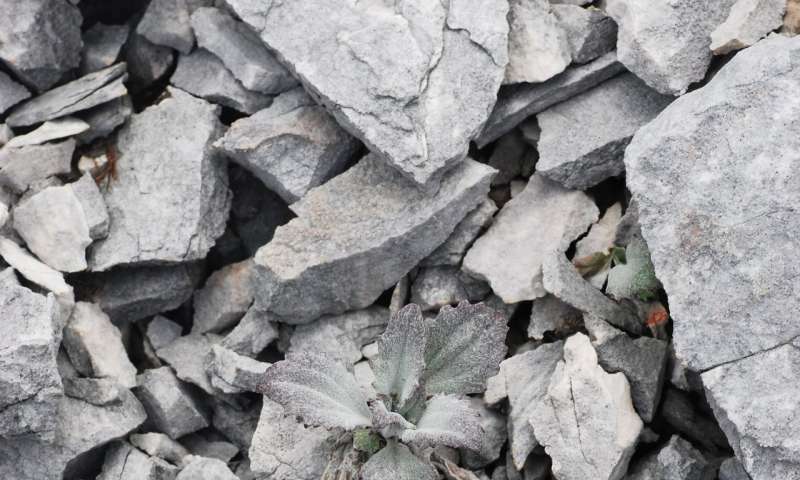 "These plants are a wonderful example of how camouflage can be adapted for different habitats," said first author Dr. Yang Niu, of the Kunming Institute of Botany (Chinese Academy of Sciences) and Exeter. Background matching—blending with the colours of shapes of the habitat where they live. Disruptive coloration—markings that create the appearance of false edges and boundaries, making it harder to see the true outline. Masquerade—looking like something else; usually something a predator might ignore, such a stone or twig. 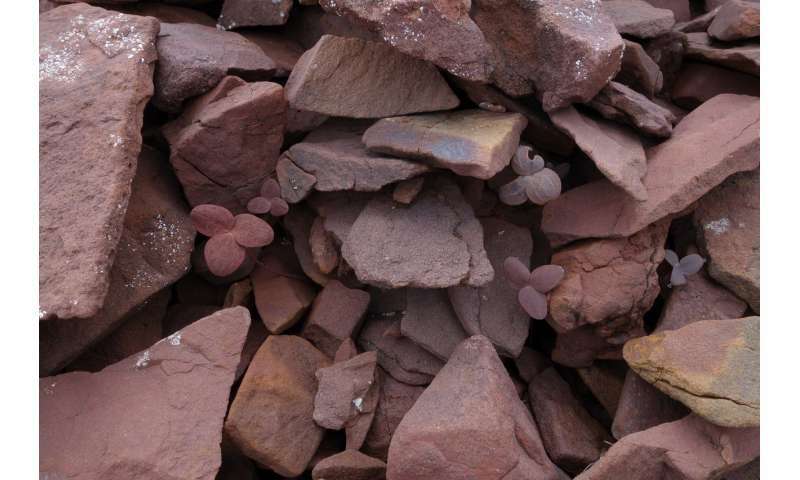 Examples include living stones, some cacti, passion vines and mistletoes. Decoration—accumulating material from the environment. For example, some coastal and dune plants get covered by sand because of their sticky glandular trichomes, making them less conspicuous. Unlike animals, plants may be limited in their use of camouflage by the fact that chlorophyll—which they need to live via photosynthesis—is green. 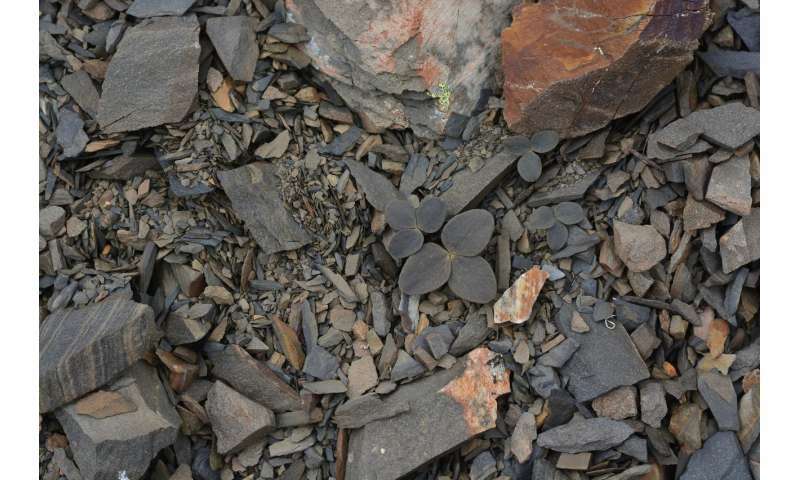 As a result, the researchers say it may sometimes be a disadvantage to a plant to be any other colour—meaning their camouflage comes at a cost. "some coastal and dune plants get covered by sand because of their sticky glandular trichomes, making them less conspicuous." Having sand stick to their leaves would also make them difficult to chew for most herbivores.